I didn't take a picture of our Thanksgiving dessert table, but here is a picture of the pumpkin pie (add 1/8 tsp nutmeg and 1/2 tsp vanilla and reduce cloves to 1/8 tsp) for which I made the crust from scratch. It's fairly simple and makes a world of difference in taste. 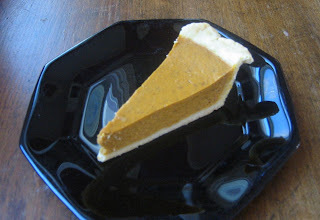 It lost some of its flakiness as the days went on, but so does store-bought crust. Not pictured: Red Velvet Cake, pumpkin roll and pumpkin cheesecake. 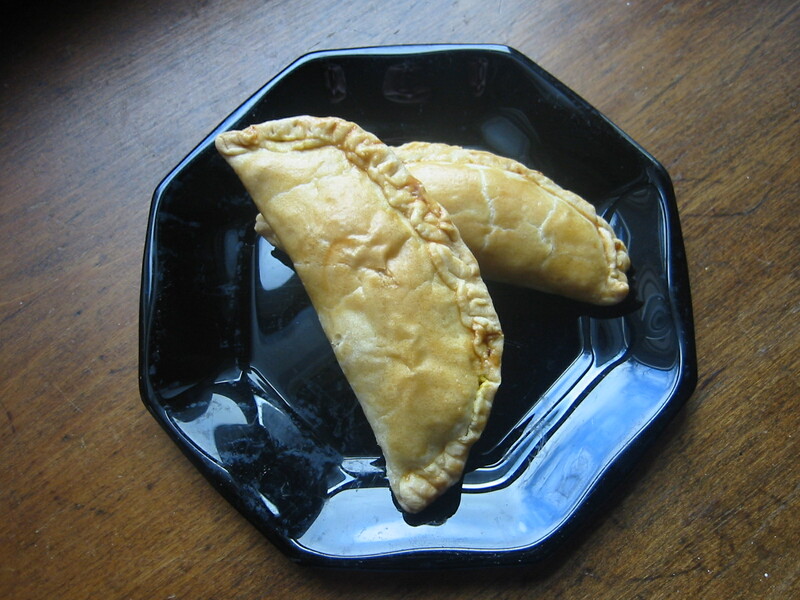 My grandmother took the leftover pie crust dough and leftover canned pumpkin and made these pumpkin empanadas. They were delicious cold and more delicious when reheated for 5 minutes in the toaster oven.